New Plantings - Lawn Installation - Irrigation - Driveways - Swimming Pools - Weekly Lawn Maintenance. 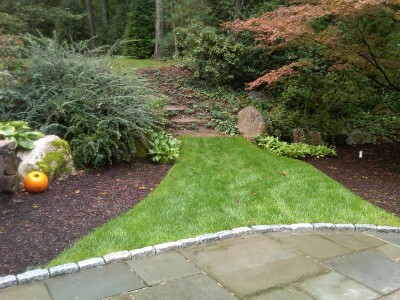 Weston, MA based landscape construction company that has been in business since 1988. From design installation to maintenance, we can service all your outdoor needs. Stone Walls - Blue Stone / Brick Patios - Fire Pits - Chimneys - Stairways, etc.